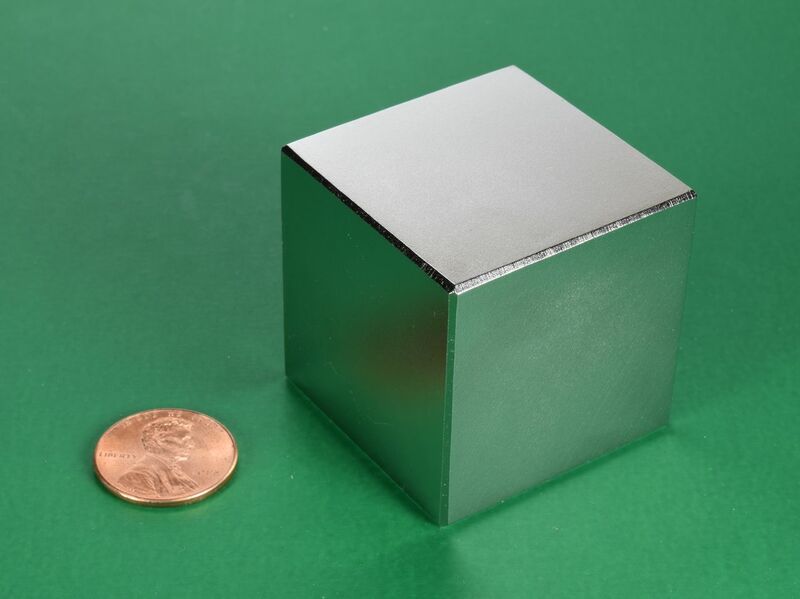 These 1 1/2" cubes are incredibly powerful and must be handled with care to avoid personal injury and damage to the magnets. 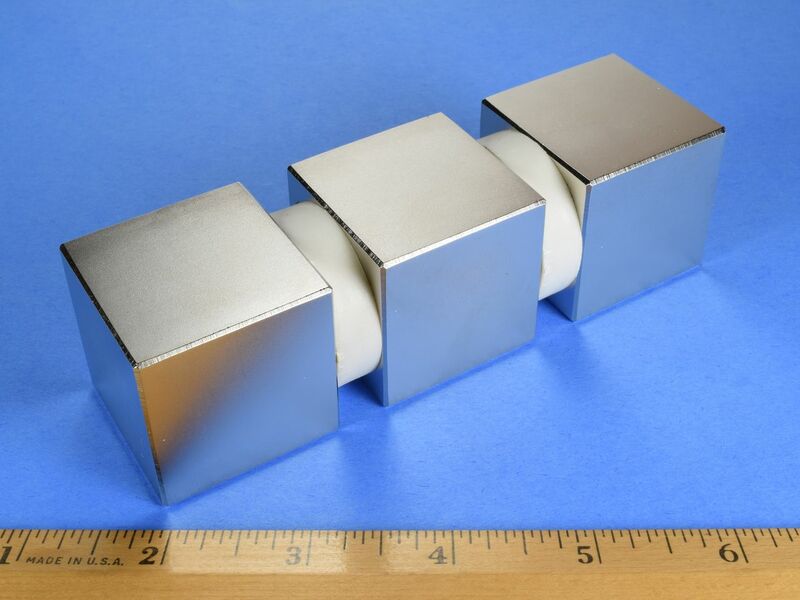 Two of these cubes stuck together are impossible to separate by hand. This size is also available in grade N52 as part number BX8X8X8-N52.